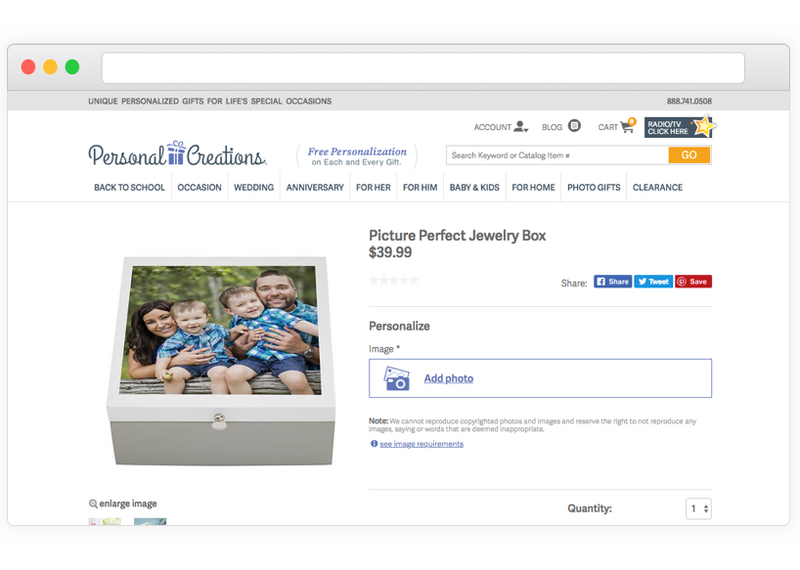 ﻿﻿PersonalCreations is an online gifting store that specializes in personalized gifts and offers a wide variety of unique, customizable products. 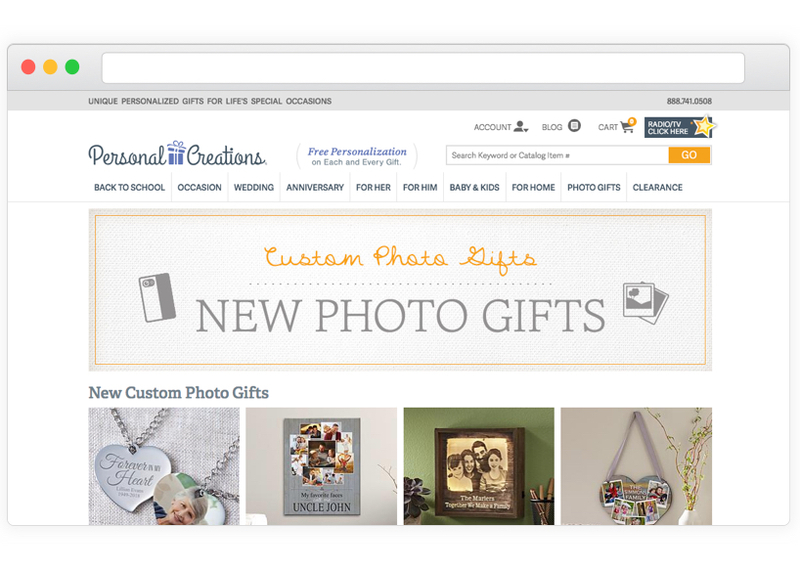 Personal Creations expertly crafts personalized dates, names, monograms, event names, special messages, photos and other options onto unique gifts for any occasion. 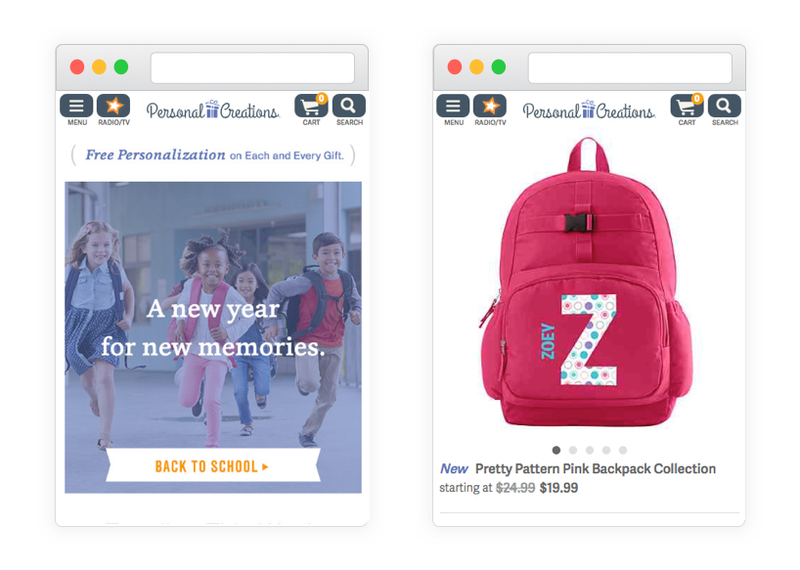 PersonalCreations provides convenient and fast delivery, outstanding customer service, and quality gifting service help to simplify the shopping experience. Plan and implement new design solutions and features. Optimize existing user interface flows. Communicate with product managers to understand business goals and objectives. Develop technical and business requirements to deliver user-centered solutions. Create interactive prototypes and wireframes for new product ideas. Conduct user research for new features and requests before implementing.